I finally finish my second mystery EPP quilt!!! I love the result and like usual, Tonya is a brilliant designer !!!!! Don't forget to browse this Art with fabric Blog Hop!!!! Every pieces are such a delight!!! That is beautiful Yanicka! 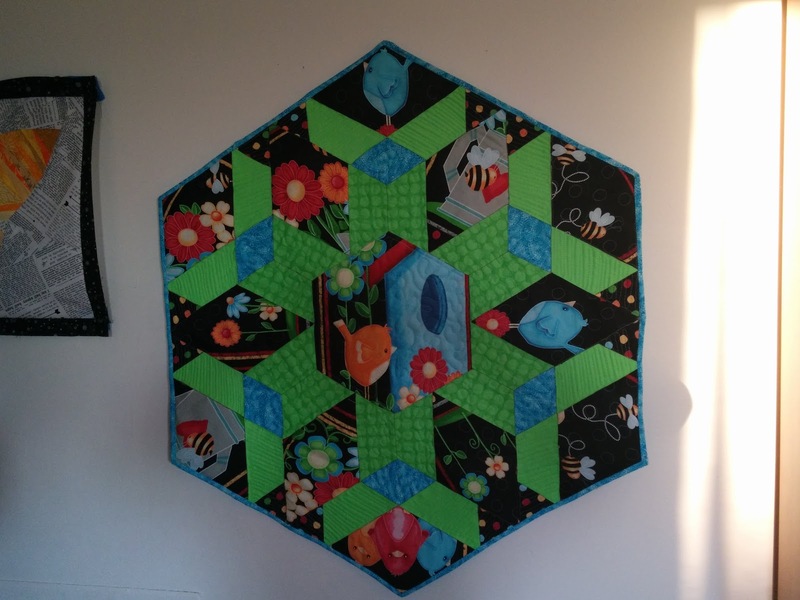 You don't see quilts with a hexagon shaped border very often. Thank you for participating to my Fabric, Thread and Yarn link party. Have a good day!